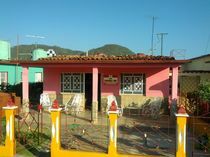 The house is named GRACIELA Y CARLOS. 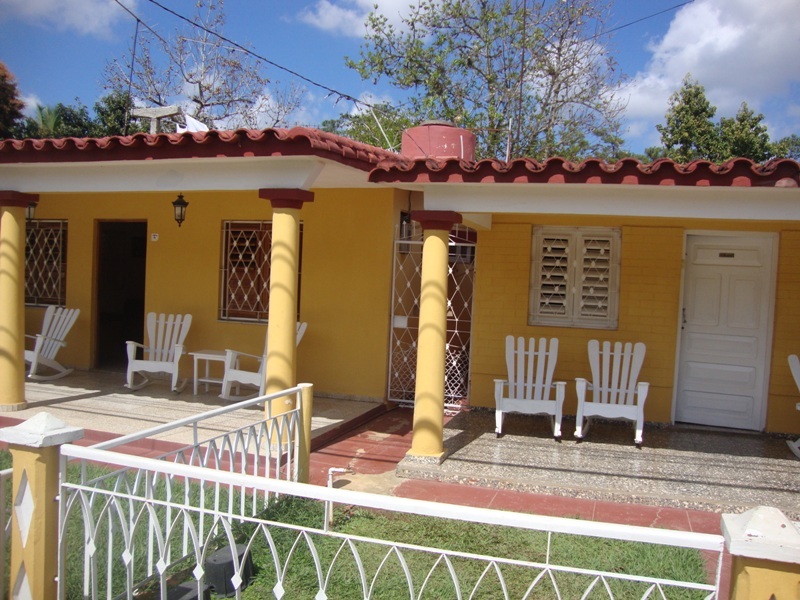 Its owner is Mrs. Graciela Rodríguez. 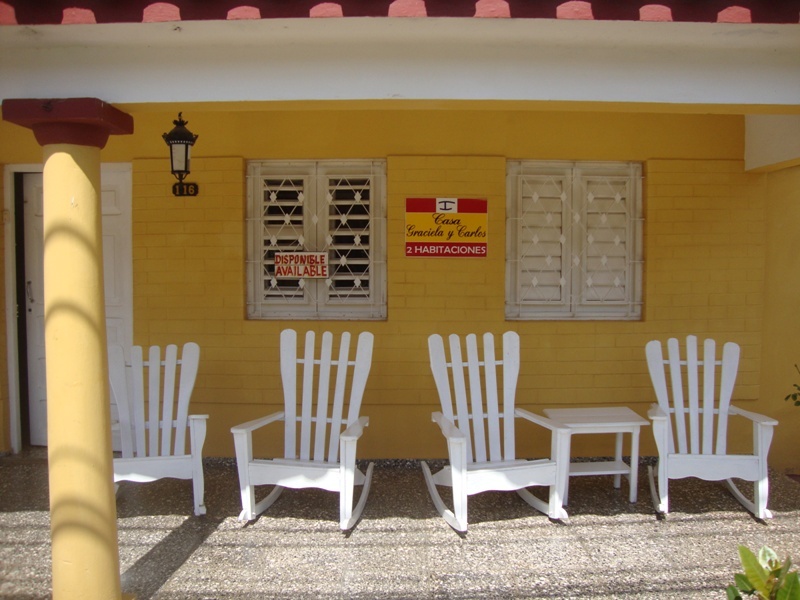 The mailing address of the house is Calle Rafael Trejo no. 116 e / Celso Maragoto and Sergio Dopico. Viñales Pinar del Río. Actually they are two adjoining houses, and one of them has an independent entrance. Between the two houses there are 5 double rooms. The house is rented only by rooms, not complete. 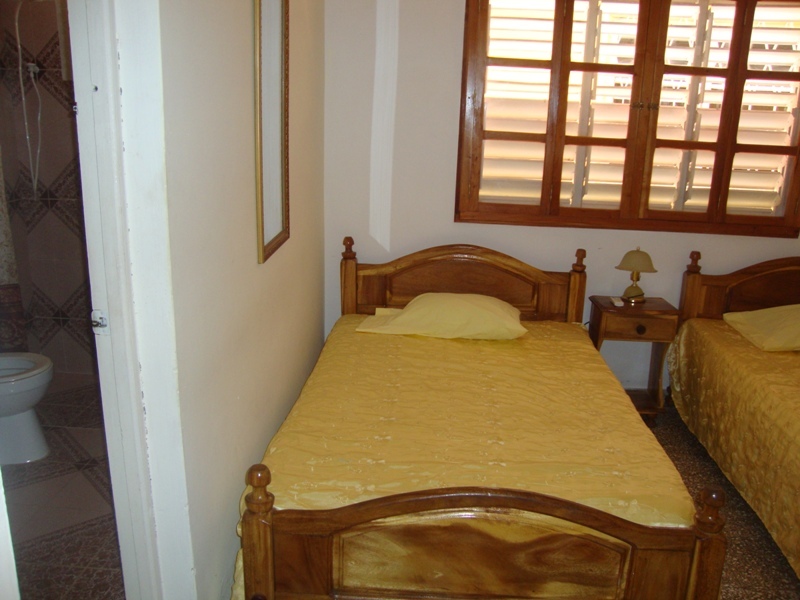 The price per room is 30 cuc per night. The entrance to the house should not be before 12.00pm and the exit of the rooms should be before 10.00am, to be able to clean the rooms of the house, however customers can stay on the terrace to chat, have lunch or wait the time they need. 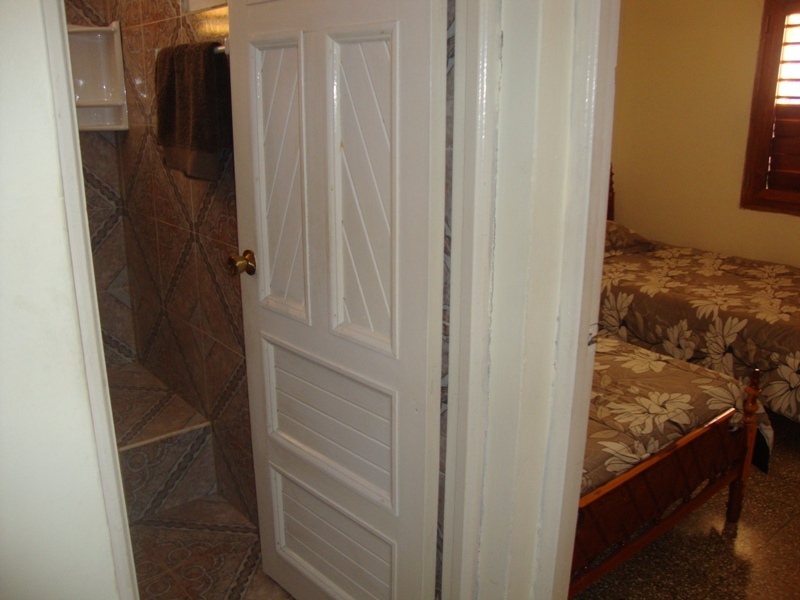 In the house and in the rooms there are possibilities for the use of wheelchairs. Smoking in rooms is NOT allowed. Upon arrival, customers are offered drinks service: water, beer, juice or canned drink of various flavors. 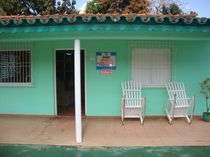 It has an individual terrace for the use of the clients. It does NOT have a pool and Pets are NOT allowed. Parking service is offered. In the house there is NO wifi service, but this is 200 meters away. 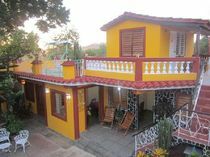 The Viazul bus station is also 200 meters from the house, and the tourist attractions are only 100 meters away, as the house is located in the center of the city. The breakfast schedule is flexible according to the guests' request, and costs 5 cuc per person. The lunch and dinner hours are also flexible and cost approximately 10 cuc per person, as requested by customers. 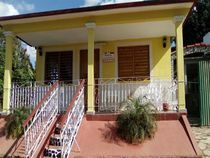 Each room has a fan, air conditioning, closet, hangers, fridge, electricity with 220 v voltage for European appliances, and private bathroom with hot and cold water, towels, amenities, shower and hairdryer; It does not have a bathtub. 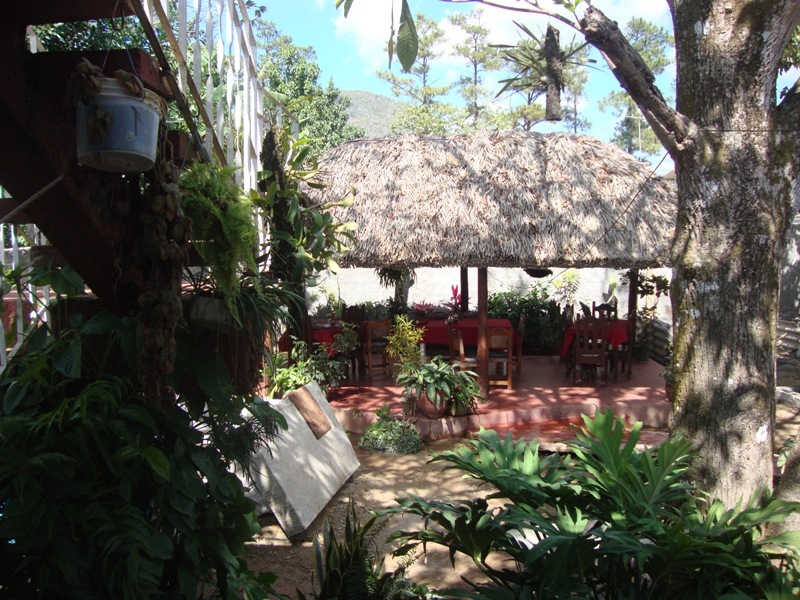 Customers are also offered excursion, hiking and horseback riding services through the Viñales' valleys, as well as bicycle rentals. 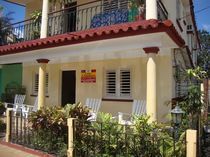 They can also receive massage services, taxi, as well as salsa classes taught by professionals, prior coordination with the owner. Laundry service is also provided if the clients wish, and the cost is flexible, depending on the quantity of pieces to be washed. 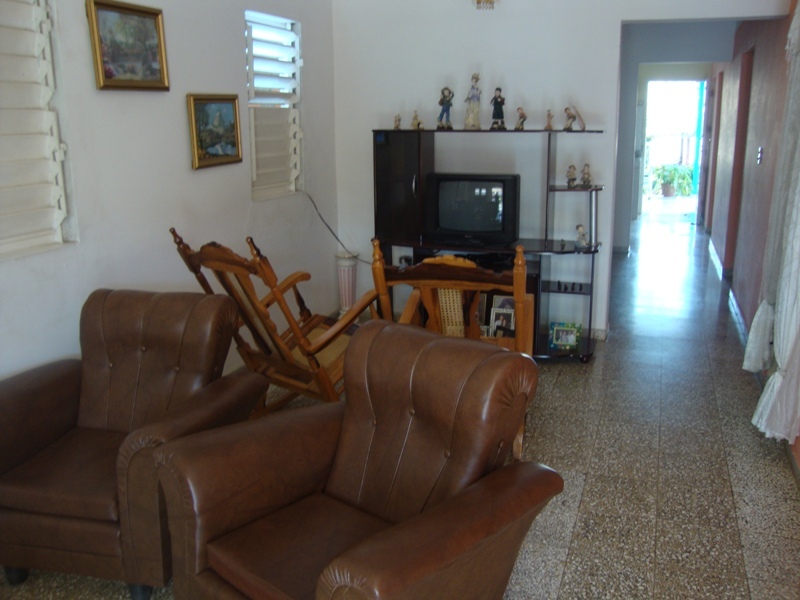 The excellent conditions of the house and its proximity to the valleys and the center of the city offer to the clients an excellent stay in Viñales, cultural patrimony of the humanity.